While it’s a common trope, the coming of age tale is one that – when done well – will change the lives of any young kid who watches them. For me, that life-altering experience belonged to The Goonies. I will never forget the first time I watched that film, and the immense, unstoppable force of the imagination when the kids finally found the pirate ship. It was a satisfactory ending to a story that ignited a passion for adventure. The Goonies, in all its 1985 glory, was the story that would stay with me throughout the years. Even now, almost 20 years old and slightly decayed by cynicism and a sensationalist media, I marvel at the stories I read of other people still finding treasure – still out exploring the world, and living the life I had dreamed for myself at a young age. Stand By Me was not this kind of movie for me. I remember watching it as a little girl and not fully realizing the importance of it. I didn’t much care for the boys cursing needlessly or smoking cigarettes. That wasn’t my life, and I couldn’t relate. However, on a whim, I saw it on Netflix and decided to give it another try. This time, I felt nostalgic for years gone by. I watched the boys go on an adventure my friends and I would only pretend as we trounced in the back yard. I watched this extraordinary event in their life unfold, and meanwhile watched them unravel themselves in a completely honest fashion. It was beautiful, seeing such raw emotion in young boys who are so often taught that their emotions shouldn’t exist. They were uniquely unaffected by society in this bizarre strand of reality that hung just outside of view. I was captured particularly by the character Chris Chambers. Pinned by the world around him as a problem child, the entirety of the movie focused so heavily on the unwavering support that he gave to the main protagonist, Gordie, and his other friends. 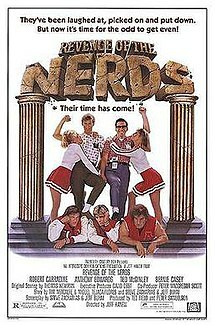 The movie shows both of the boys opening up about their very real sense of self and how it was scarred by the adults around them. The boys are unapologetically there for each other, and never once make the other feel bad for having these very real emotions. In a particularly emotionally-jarring scene towards the end, Gordie cries about how he should have died rather than his brother. He exclaims that his dad doesn’t love him and that he wasn’t good enough. Chris simply hugs him, and tells him not to say those things. He lets him cry, and he offers a shoulder. It was strange to watch, simply because it seems so unusual that male characters support each other so completely. However, the moment had the intended effect. Gordie’s pain was unfiltered, and it left me in tears of my own. There are a lot of really good, light-hearted coming of age tales, particularly that spawned in that time frame. Only a few years later, The Sandlot would become the voice of a generation born in the early 90s. However, while all have a nostalgic element that will never quite go away, I feel like Stand By Me is a special film in this genre because it reinforces an important idea: boys can, do, and should always be able to show their emotions. They should be able to cry without fear of judgment. They should be able to feel their emotions to the fullest extent and not be made to feel guilty for it. Coming of age tales are important to the developing mind. They are full of life lessons, packed into a two-hour tale that is relatable but always has some enchanting premise to hold your attention; the boys off to find a dead body, the kids escaping from criminals while searching for lost treasure, and the game of baseball that awoke the mythical beast. These stories do as much for our imaginations as they do for our souls. Stand By Me is an honest reflection of what boyhood is like, and it is one that tells boys that they shouldn’t be afraid to feel things. In this world, that is one of the most important lessons we can teach the boys of this generation. 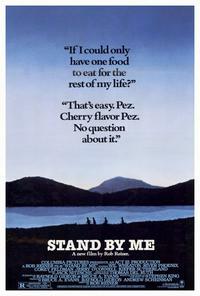 While I can’t claim Stand By Me as one of those childhood films that changed my life, and while I will never feel that too-familiar pull towards those movies that once had us drawing up treasure maps in the backyard, I can say with certainty that this film is one I will show my children. And I hope that when they see it, they will realize that they too can experience the world honestly and with a sense of hope.